Palestinian martyr Isaac Hassan, who was killed in cold blood by Egyptian soldiers a week ago in Rafah border area, arrived by ambulance in the Gaza Strip on Thursday afternoon. Spokesman for the interior ministry Iyad al-Bazam said yesterday that the body of Hassan was delivered at the Rafah border crossing and would be transferred to al-Shifa hospital for forensic tests before handing it over to his family. Al-Jazeera satellite channel recently broadcast a video recording showing Egyptian soldiers opening fire at Hassan after he crossed a few meters into Egypt's territorial waters and killed him immediately. The soldiers also ignored a Palestinian policeman near the border fence as he was loudly trying to convince them that the young man was mentally disordered and posing no threat. For its part, the Palestinian interior ministry in Gaza demanded the Egyptian authorities to conduct an immediate investigation into the incident and to take legal action against the perpetrators. Palestinian national and Islamic forces in Gaza Strip called on Egyptian authorities to promptly investigate the killing of Ishaq Hassan on the border of Gaza and to bring the Egyptian border guards responsible for the incident to justice. Following a meeting held Sunday in Gaza city, the Palestinian national and Islamic forces expressed deep regret over the killing of Ishaq Hassan at the hands of Egyptian border guards after he crossed few meters into Egyptian waters. Earlier Sunday, dozens of Palestinians participated in a protest vigil outside the former headquarters of Egyptian Embassy condemning the killing of Hassan on the borders of Gaza last Thursday. The vigil was organized by the Palestinian Youth Forum. Spokesman for the forum Mohamed al-Lubad condemned Egypt for the act, “which is contrary to all humanitarian laws and traditions." He called on the Egyptian authorities to open an investigation into the incident and bring the responsible for it to justice. For its part, Hemaya Center for Human Rights strongly condemned the killing of Hassan by Egyptian border guards without prior warning, considering the incident a violation of human rights. Hemaya center called on international human rights organizations to bear their responsibilities towards the tragic suffering of the Palestinian people in Gaza. On Thursday, Egyptian border guards opened fire on a Palestinian young man after swimming through the sea across Gaza's southern border into Egyptian territorial waters. 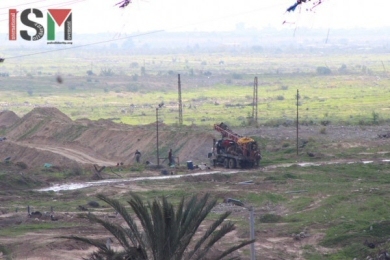 Egyptian workers working on the pipes that pump seawater along the border. The Palestinian Association for Human Rights (Witness) has called for conducting a neutral investigation into the murder of a Gazan mentally ill youth by Egyptian soldiers after he crossed the Rafah coastal border. In a press release on Saturday, Witness said there was no security need to use lethal force against the young man, describing his murder as a war crime. Witness called for carrying out an immediate probe into the incident and taking legal action against the perpetrators to avoid recurrences. Egyptian soldiers on Friday shot dead a mentally ill Palestinian identified as Isaac Hassan after he waded through the Gaza sea into Egypt's territory, and impounded his body. In a related context, the national security apparatus in Gaza said that its officers in Rafah tried to reach the victim quickly to prevent him from entering the Egyptian territorial waters, but they failed because their posts were several meters away from the beach. Head of the apparatus Naim al-Ghoul stated in Facebook remarks on Saturday that it was not the first time the Egyptian army killed a Palestinian in cold blood, recalling that its soldiers had killed many Palestinians, including tunnel workmen and two children. Ghoul expressed his belief that such killing incidents reflected the size of incitement within the Egyptian army against Gaza and its population. A Palestinian official source unveiled the identity of the young man who was shot dead last Thursday evening on the Egyptian border with the Gaza Strip. The young man, who was confirmed to be mentally ill, traversed the Gaza coastal border into the Egyptian side of Rafah, where he was gunned down immediately by the military. Head of the Rafah municipal council Subhi Radwan told Quds Press that the mother of the victim identified him by his clothes that he took off before entering the seawater. "The young man is Isaac Khalil Khamis, aged 28 from al-Zeitoun neighborhood in Gaza City, and he suffers from a mental disability," Radwan affirmed. He noted that the Egyptian army continues to withhold the body of the young man. Recently, the Egyptian army had also killed a Palestinian fishermen inside Gaza waters and wounded many others. The Palestinian interior ministry has accused the Egyptian army of cold-bloodedly executing a mentally ill young man on Thursday as he was swimming near the Gaza coastal border. "The appalling scenes which were televised of a mentally disordered young man being killed by the Egyptian army a few meters away from the Rafah border have reflected the viciousness of the action," the ministry stated in a press release on Saturday. 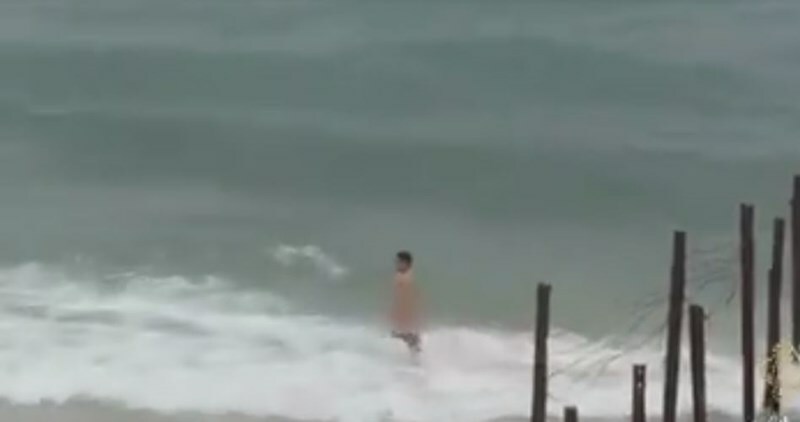 Al-Jazeera satellite channel last night broadcast a video recording of the unfortunate killing of the young man after he stripped naked and swam near the Gaza-Egyptian beach. The video also showed a Palestinian security man as he was standing near a separation fence and trying to convince Egyptian soldiers in a nearby watchtower that the victim was mentally ill and there was no need to open fire at him. The ministry deplored the incident as "reprehensible and a violation of the international humanitarian laws and norms," and called on the Egyptian authorities to conduct an immediate investigation into it and to hold the perpetrators legally accountable for their action. The ministry also demanded the Egyptian authorities to release the body of the victim and hand it over to the Palestinian side in Gaza. A mentally disabled Palestinian was shot and killed Thursday evening by Egyptian fire south of the border city of Rafah south of the Gaza Strip after he tried to cross the sea borders between Gaza and Egypt. Palestinian security sources said that the Egyptian soldiers opened fire towards the young man after he tried to cross into the Egyptian shores. The sources affirmed that the young man was mentally disabled. Eyewitness told Anadolu news agency that Palestinian border guards tried to prevent the young man from crossing the sea borders; however he managed to escape and to enter into the Egyptian sea borders for few meters. No Egyptian source has commented on the incident. The Hebrew radio has said that the special envoy of the Israeli premier, Yitzhak Molcho, will visit Cairo next week to discuss the issue of natural gas with the Egyptian government. Israeli premier Benjamin Netanyahu stated a few days ago that he had agreed with the Egyptian government to send a special envoy to Cairo reach a compromise regarding the problem of natural gas supplies. Netanyahu expressed his confidence that Egypt and Israel would find a solution because they share strategic interests. 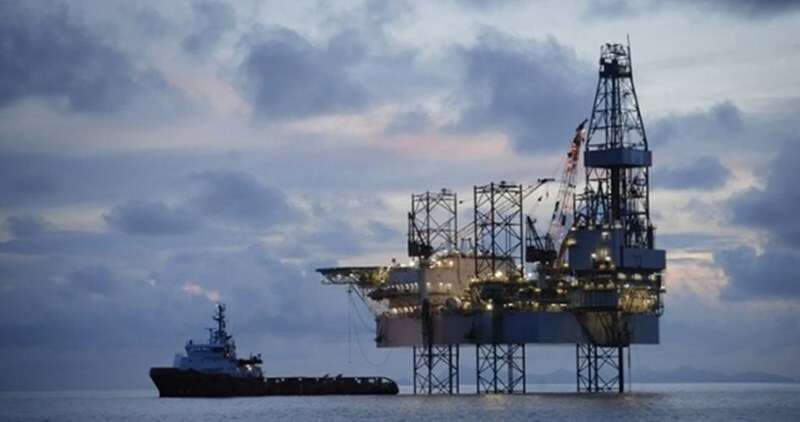 The Hebrew radio quoted an official source as saying that Molcho would explore with the Egyptian leadership avenues of restoring the diplomatic relations and exporting natural gas to Egypt. In February 2012, the Israeli electricity company had filed a complaint with the International Chamber of Commerce (ICC) over Egypt's failure to continue supplying it with natural gas, and managed to receive a verdict ordering the latter to pay about two billion dollars in compensation. Consequently, the Egyptian government decided to freeze talks on importing gas from Israel until the results of the appeal it filed against the ICC's verdict were declared. Under a 20-year deal, Egypt had been supplying Israel with natural gas since 2008 before it suspended the contract in 2012 due to the exposure of its pipeline in the Sinai to repeated attacks by local militant groups. Israeli spy Ouda Tarabin, an Arab Bedouin, arrived on Thursday in Tel Aviv after the Egyptian security authorities released him in exchange for two Egyptian prisoners. Tarabin, originally from a Bedouin tribe in Egypt's Sinai Peninsula, was arrested in 2000 after crossing into Egypt illegally. He was 19 at the time. The Egyptian authorities then informed him that he had been tried in absentia on spying charges. He was subsequently sentenced to 15 years in prison. 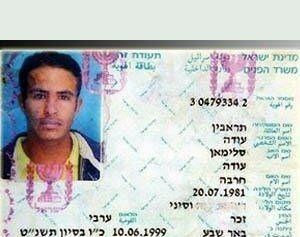 An official security source said other Egyptians would be released by Israel soon as part of this swap deal.